Today's picture is from 2008 when I was studying abroad in Norway. 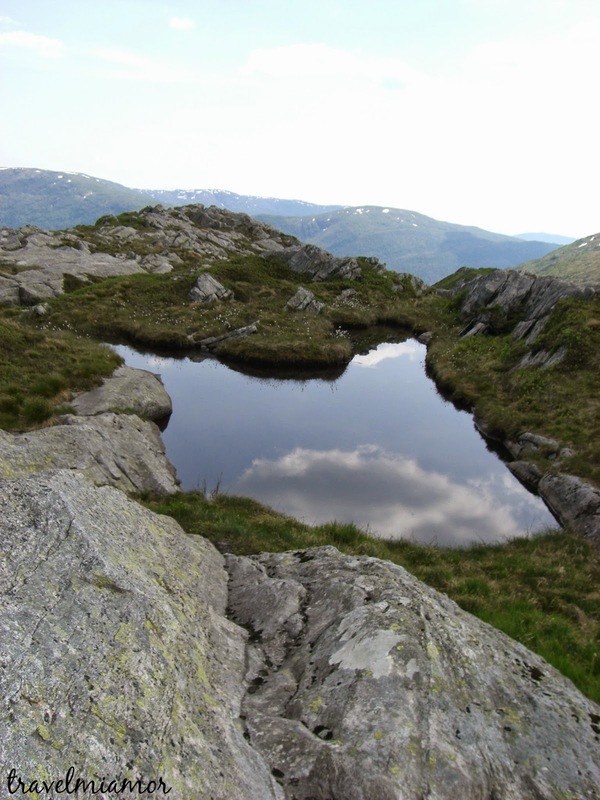 We had taken a weekend trip to Bergen and our teacher convinced us to take a 3-4 hour hike up and across the mountains. Well the gondola up the mountain was out out of order but we decided to stick with the hike and it lasted about 6-7 hours! This was my favorite picture from the hike and possibly the whole trip! I just loved how still the water was and the reflection is perfect. So peaceful. p.s. I wont be posting on Friday because I have a test on Saturday that I will be studying for! Wish me luck!